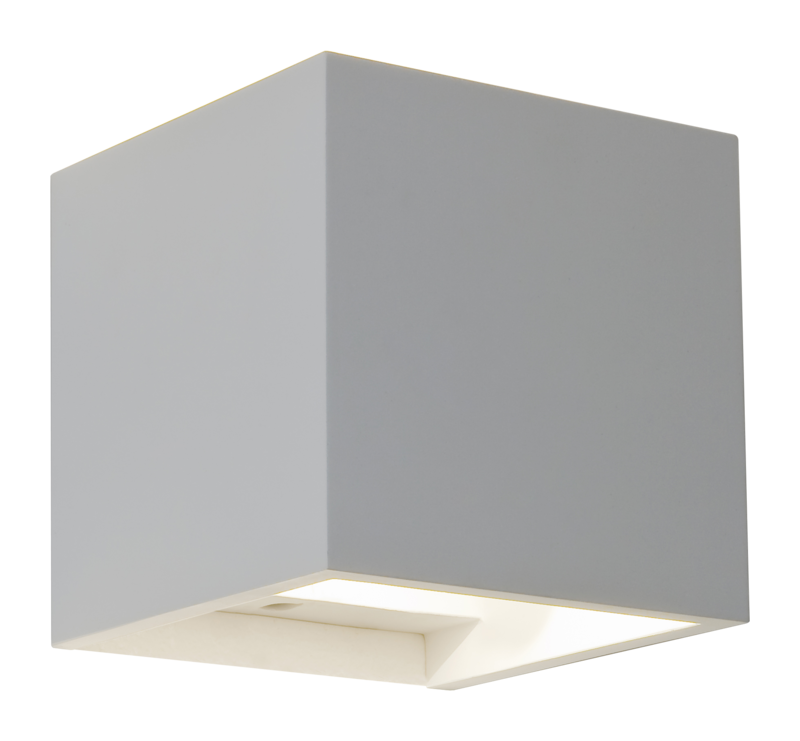 This indoor LED wall light fixture will bring a great and modern look to the whole room. Its box shape and top and bottom openings allow the light to come out in an interesting and attractive shape. This results in a softer lighting than many traditional light fixtures, giving you a more pleasant overall lighting effect. This fixture uses 2 x 3W LEDs. It comes in a white plaster finish that will look great in any living, bedroom and hallway area, however with high quality emulsion paints, you can paint the fixture to match your decor. No matter which you choose, you will be pleased with how well it fits into your surroundings.